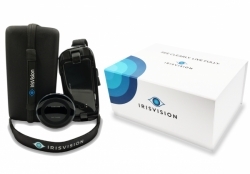 Pleasanton, CA, April 07, 2019 --(PR.com)-- IrisVision, a California-based startup, recently released "IrisVision 3.0," an updated version of a revolutionary low vision solution introduced a couple of years ago. This new release, being referred as "The Next Generation IrisVision," packs a handful of innovative solutions, further easing out the visually impaired and the legally blind in seeing the world around them. “I’ve been working in the area of vision research and vision restoration for 40 years, most recently as Professor of Neuroscience at UC Berkeley. Much of that work has focused on restoring vision to the blind. But I sensed a need for serving a much larger community of the visually-impaired: those who still have some remaining useful vision,” said Dr. Frank Werblin, talking recently to the "Medgadget," the famed weblog about medical technologies.